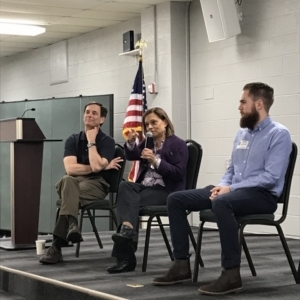 On March 22nd, we were very fortunate to have a Vocation Panel with superb speakers!!! Our line up was: Fr. 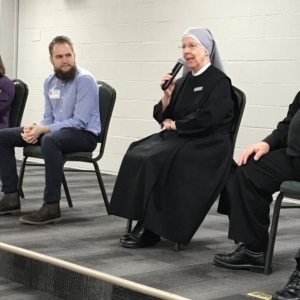 Willie (Pastor), Ms. Ginger Bahr (Principle and Third Order Franciscan), Seminarian Jacob Gindhart (St. Mark's Seminary, PA), Sister Lawrence and Sister Jenette (Little Sisters of the Poor) and Deacon Ray. 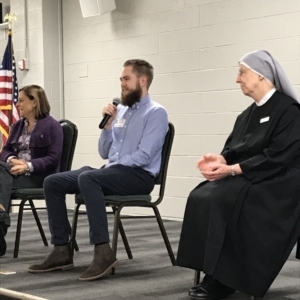 Each of our presenters spoke about their call to the religious life. They highlighted their academic and professional experiences both before their vocation and afterward. 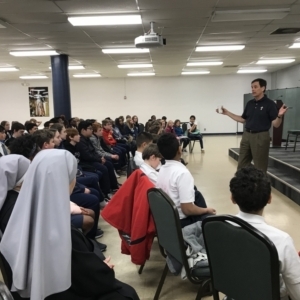 We were especially grateful to have Seminarian Jacob Gindhart. Jacob attended St. Joan of Arc for kindergarten through second grade. Sister Lawrence and Sister Jenette from the Little Sisters of the Poor have visited St. Joan of Arc a number of times and were very glad to discuss vocations with our school children. 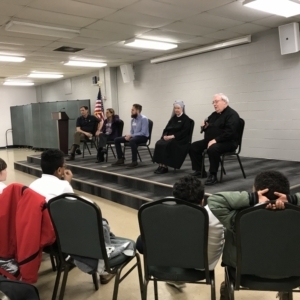 We hope to sponsor more events like this in the future to inform our youngsters (both in our parish and the school) about religious vocations.